The School of the Art Institute of Chicago (SAIC), named "the most influential art college in the United States" by Columbia University's National Arts Journalism survey, has joined the SAGE Tuition Rewards program. Since 1976, SAIC has occupied its own cutting-edge facilities adjoining the Art Institute of Chicago and the heralded Modern Wing that overlooks Grant Park and Lake Michigan. SAIC's urban campus also includes additional buildings in the heart of the Chicago Loop. It's the largest school-museum campus in the U.S. 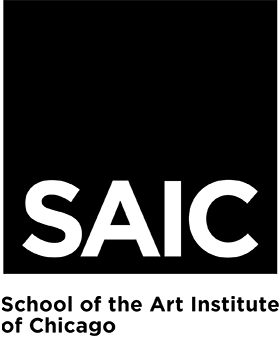 Some of the most notable names in the arts received their early training at SAIC, including Georgia O'Keeffe, Claes Oldenburg, Thomas Hart Benton, Grant Wood, Halston, LeRoy Neiman, David Sedaris and Sarah Vowell. Founded in 1866, SAIC enriches its exceptional studio program with a first-rate liberal arts education guided by one of the nation's largest art history departments. SAIC provides its 2,900 undergraduates with an interdisciplinary curriculum, cutting-edge facilities, renowned faculty, exceptional resources and the necessary freedom to develop artists, designers and scholars. Students translate complex ideas into tangible forms—paintings, sculptures, films, performances, books, installations, inventions, buildings and community projects. It's an unusually broad range of possibilities. SAGE students now can choose from among 13 of the nation's finest art & design colleges. 27 Illinois private colleges participate in the SAGE Consortium.